When I went to NCTE last year, I picked up an ARC of Duck, Duck, Porcupine by Salina Yoon. I am a huge Salina Yoon fan. Be a Friend is one of my favorite picture books of the year and Penguin and Bear are some of my favorite characters. I was thrilled to see this new, early reader book from Salina Yoon. Doesn't the cover just make you smile? I teach 3rd grade so finding books that move kids from those books for beginning readers to chapter books for older readers is something I think about almost every day. I see this new book by Salina Yoon as fitting into a category that is perfect for readers who are just learning to build stamina and hold stories across time. 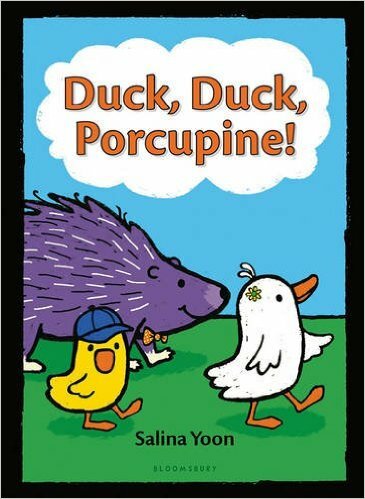 Just like Elephant and Piggie and Ballet Cat, this book supports readers in ways few other series do. It is just perfect! The book has 3 chapters and each is a stand-alone story which is a huge support for young readers. The 3 characters are amusing, adorable and distinct. By the end of the 2nd story, you know the uniqueness of each pretty well. There are talking bubbles and simple language but sophisticated humor and lots of fun! 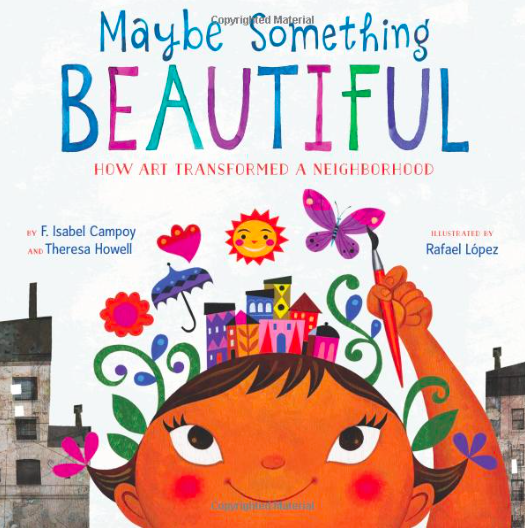 This new book, as well as all of her others belong in K-3 classrooms for sure. This book is going to be fabulous for new readers and those moving along a bit. It is one that is sophisticated enough that older readers will also enjoy it. I haven't had a Salina Yoon author basket in my room but will be creating one this year. Not only will the kids love her as readers but they can learn so much from her as writers. And even better news? This book is the first in a series! 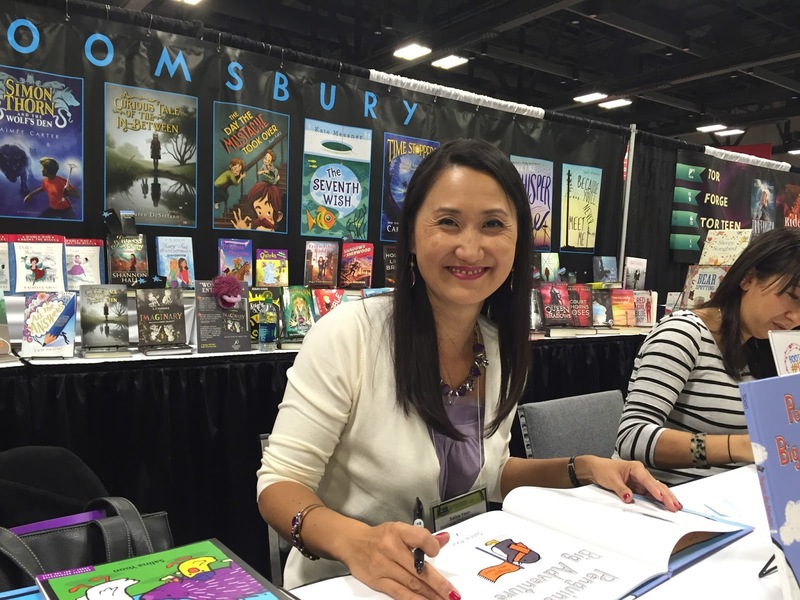 Salina Yoon, signing my books at NCTE 2016! I have been a fan of Jeannie Baker's wordless picture books since the beginning of my wordless picture book obsession. Her art and the messages in her books are always powerful. 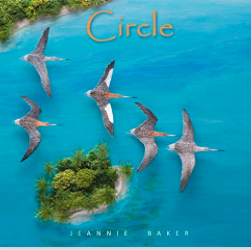 Circle is a different kind of book for Jeannie Baker but I loved it and can't wait to share it with our 3rd graders next year. We have a basket of bird books in our classroom and I've try to create a basket with a variety of topics within the bigger topic of birds. I know kids often begin their reading with bird guides as they want to learn to identify various birds. But I've noticed that some readers move on from the basic identification of birds to bigger issues. The book Circle takes us on a journey with the bar-tailed godwit ("who undertake the longest unbroken migration of any animal") as they migrate from Australia/New Zealand to the Arctic and back again. Baker creates text that helps us understand time and distance as well as the amazing thing that this journey is. And her illustrations help us appreciate the various places on Earth that are part of the godwits migration. 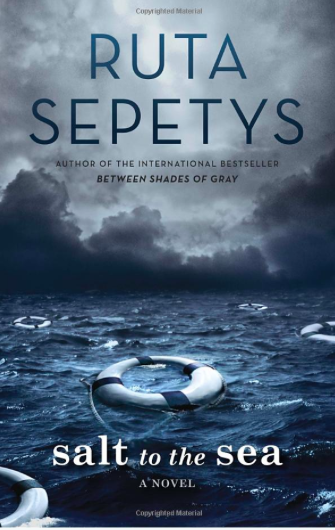 Not only does she help readers understand all of that but she also invites them to understand the bigger idea of how connected our world is and that changes to one part of the world can have consequences for another. The map in the back of the book showing the migration is also fabulously helpful. There are so many layers of conversation and learning that I think can happen because of this book and I am excited to add it to our classroom in the fall. I just came back from a Choice Literacy Writing Retreat. I am always amazed at the whole idea of a retreat. I never come back feeling like I wrote as much as I could have but I realize that a retreat doesn't mean you write the full 72 hours! I learned a lot about myself as a writer this week and how I work. I tend to work in chunks but having long periods of time to write, without any distractions take more discipline than I usually have so it was good for me to write in a different way. The best thing about the retreat is always the people! 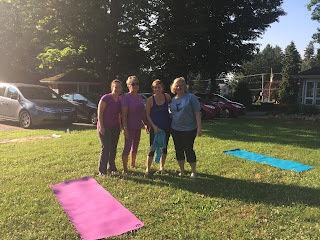 I loved chatting and learning with old friends and I loved making new friends! Location matters. We had the retreat in a little town a bit away from home. 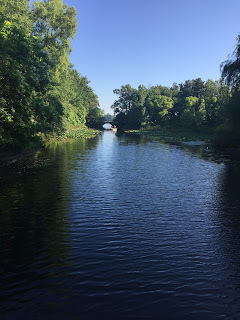 The town does have a fabulous lake and walking trails so we started one morning on a walk. As you know I am not a huge nature fan, but even I enjoyed the walk and the view! A morning walk does help kick off a good day of writing. Brenda had a yoga instructor come out one morning and we had yoga outside. Another great way to kick off a day of writing! 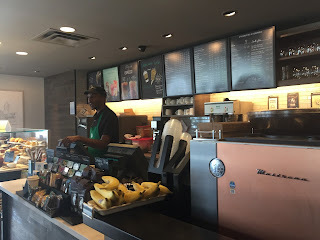 No writing retreat is complete without a Starbucks! 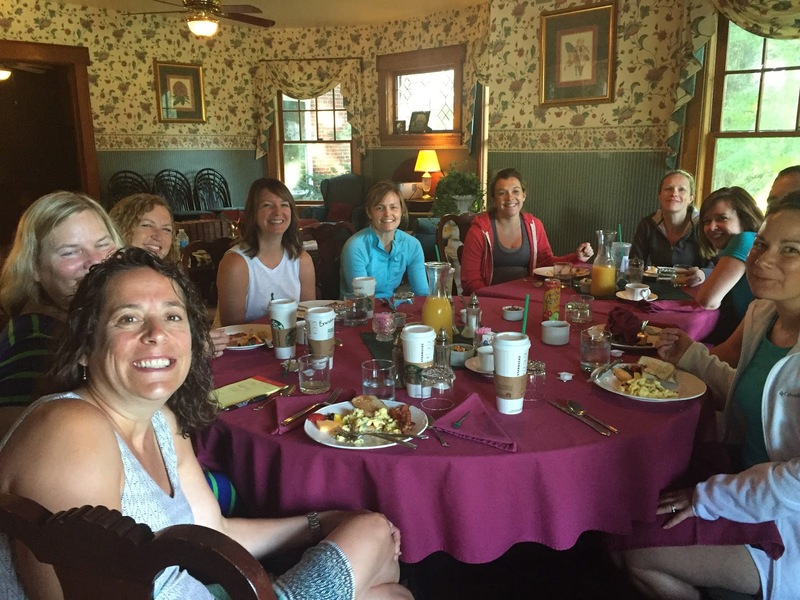 We stayed at a great Bed and Breakfast. The meals were delicious and talking to everyone during mealtime was great fun! 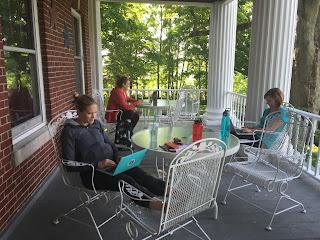 There were lots of great, quiet spaces for writing! ready to be ground into another batch of pesto. have locked the back gate. This week, I've been thinking about what changes and what remains, about loss and redemption, about worldly goods vs. the riches of family and friends, about the ultimate meaning of home. 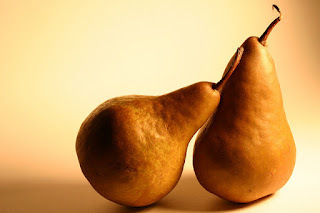 Diane has the Poetry Friday roundup this week at Random Noodling. There is one more hosting slot available on the July-December 2016 calendar. Is December 16 calling your name? Claim the date here. My online reading has had a lot of variety lately! Maybe because it's summer and I have time to read things I might not typically find. Regardless, these are the things I've read that I thought were worth sharing. I don't have a lot of time to read Young Adult fiction but it is my absolute favorite! So this summer I am going to try to fit in a few that I keep hearing about. These are the 4 on top of my list. I have always loved the book Wanda's Roses. I love Pat Brisson but I love the message of a little girl working to make her community brighter. And I love the way the whole community brings something to the project. It is a book I read every year. Two new books have been recently released that follow a similar theme and I am very excited to add them both to our classroom library next year. I love these two books because both are based on true stories and real communities. Maybe Something Beautiful: How Art Transformed a Neighborhood by F. Isabel Campoy and Theresa Howell is written in honor or Rafael and Candice Lopez "and all the quiet leaders in our neighborhoods. "(From the author's note.) I love the power of this story and the way art they helped transform East Village near downtown San Diego. I love the story, the author's note and the illustrations. 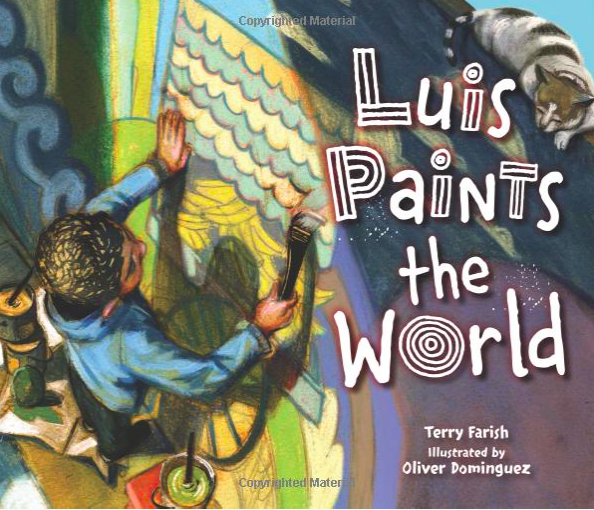 Luis Paints the World by Terry Farish takes place in Lawrence, Massachusetts. 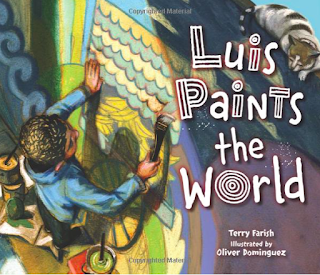 The author states in the Author's Note that she worked as a librarian in Lawrence in 2003 and followed the work of young artists and others to design a mural for peace. The stories are similar in theme but the vibrant personalities of each unique neighborhood comes out in the stories. Some connecting threads in the two books are how people come together in a community and how communities can be transformed by art. 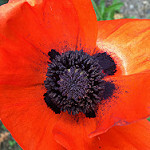 Carol has the Poetry Friday Roundup this week at Carol's Corner. There is one more hosting slot available on the July-December 2016 calendar. Is December 16 calling your name? Claim the date here. I have been doing a lot of thinking over the last several years about how digital tools have changed our reading and writing workshops. One thing I realize over and over again is that what is possible in our literacy workshop has expanded for our students. One way I notice this is the ways that we can connect with and learn from other writers in Writing Workshop. Learning from texts by authors of some of our favorite picture books is always an anchor for our writing. This is the beginning of a board we had up for a bit this year as we were learning from authors such as Cynthia Rylant and Lester Laminack. Baskets of mentor texts and mentor authors are so important in our Writing Workshops. This is the way we learned from other writers long before digital tools came into play and is still critical. But digital tools have allowed even more when it comes from connecting with and learning from other writers. First of all, we can study each other's writing in more ways and kids can do that more independently now. It used to be that we could study student writing in the midst of Writing Workshop, during mini lessons or share time. But because our students have blogs and access to sharing in Google, they always have other students' writing to read and study. And because so many students around the world have blogs, these are always accessible to our students. They can read and study other students' work during writing workshop, at home or whenever. It is fairly new that our young writers have access to this many other young writers as they learn and grow. We can also use digital tools to collect student writing and other texts. Tools like Padlet can help us collect a piece of student writing that we'd like to look at along with other connected pieces. This Padlet is one we created when we were learning about Slide Design. Several students' slides became part of this Padlet and we used it over several days to study the craft moves students mad to create slides in informational writing. Students also had access to this Padlet online anytime. Having the ability to use tools like Padlet to connect students to other students' great leads, powerful sentences, slides, etc. expands what is possible in our workshops. Whether students are creating digital or more traditional texts, these digital tools can help us collect and revisit pieces worth studying. And of course we can learn from authors around the world. Melissa Stewart has an amazing website with Video Mini-Lessons for writing informational text. The power of learning from someone who is a published author and whose books are used as examples changes writers in the classroom. And we have amazing writing teachers like Ruth Ayres creating videos we can use with our students. My kids talked about Ruth Ayres like she was in the classroom because they learned so much from her quick videos. She is brilliant at the way she teaches young writers. And I love the way I can pick and choose lessons that my kids need. She shows so many pieces of her own writing throughout the videos and it is just another way we can mentor to another writer because of digital tools. If you have not seen her videos, this is one of our classroom's favorites. I know I've shared some of these resources here before but when we look at them together, it is clear how much more is possible when it comes to connect with other writers and learn from mentor texts in this digital world. At the end of the year, my 3rd graders created a Google Slideshow of books they recommended to classmates for Summer Reading as well as for next year's 3rd graders. They have some great recommendations so I thought I'd share it here. I loved the variety in their choices. "We don’t serve only our own children. We don’t serve the children of 1950. We don’t serve the children of some imaginary land where they are protected from the headlines. We serve real children in the real world. " There is an important conversation around censorship going on in the Children's Literature community. If you haven't followed it, it is definitely a conversation we all need to be part of and one that needs to continue. Phil Bildner, author of many books including A Whole New Ball Game and Marvelous Cornelius was uninvited to a school district where he's been speaking since 2007. 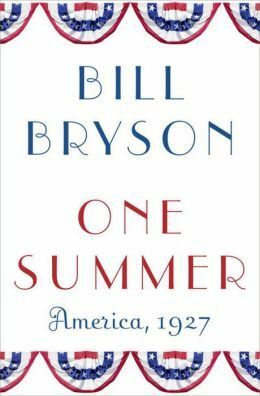 This article at CBLFD states that last year during his visits as Bildner was recommending books to his audience, he included George in his book talks. During the second half of his visit he was asked not to mention the book and he was accompanied by an administrator for that part of his visit. The Intellectual Freedom Blog of ALA had a follow-up post along with some information from the Assistant Director of the Office for Intellectual Freedom. Later the same week, Kate Messner's book Seventh Wish was released. 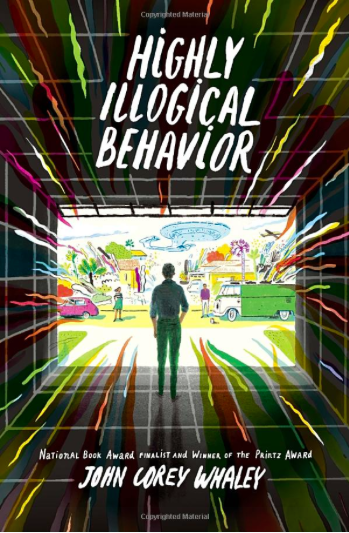 This is a middle grade novel about Charlie, a twelve-year old whose older sister has a drug addiction. Kate was also uninvited to a scheduled school visit. This was due to the content of her book. Another article about the issue is here. There has been a huge follow-up conversation on social media and one that we all need to be aware of. 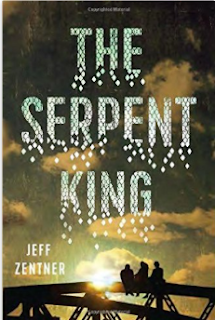 Kate Messner has two follow-up posts here and here that are worth reading. 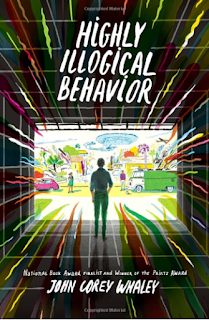 Kate Messner is a pro at writing about hard issues in a way that makes sense for middle grade readers. I am so thankful we have authors like Kate who have somehow figured out how to write perfectly for this age level. Pernille Ripp has a must-read here. Katherine Sokolowski has a follow-up post on censorship here. There is a lot to work through in this conversation and I am glad that it is happening. I think our biggest job as teachers and librarians is to read widely. To know the books written for all students. And to have to have these conversations globally and locally. This poem, shared a few weeks ago on The Writer's Almanac, cracks me up. Ronald Wallace turns all of these common sayings upside down and inside out, changing them from negative to positive. It's all in how you look at the world, isn't it? Change your lens, change the world. Now do me a favor and go back to the title and the first line. Do you know which saying he flipped? I'm thinking "occur" was originally "happens." And are you thinking what I'm thinking about the word he changed into "blessings?" Cracks. Me. Up. Every time. 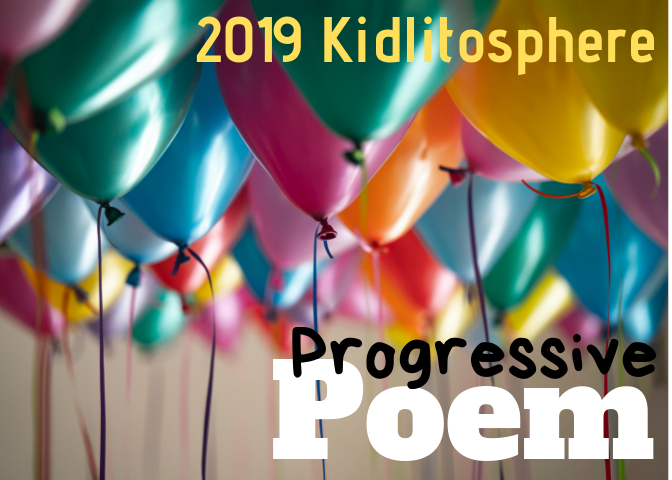 Carol V. has this week's Poetry Friday Roundup at Beyond LiteracyLink. 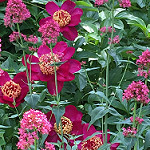 Join Carol in her spring garden to celebrate the vibrancy of poetry. There are TWO slots left in the July-December Poetry Friday Roundup Host schedule. Check it out here if you want to host the weekly poetry party! When I received these two books as review copies, there was no question in my mind about what I would do next -- I handed them first to B. and then to M., both huge fans of everything Rick Riordan has written. I had a lunch date with M. last week, and we chatted about how her reading life has developed this year, and about these two books. Previously, I have watched series books launch a reading life, but I have never seen an avid reader tear through series after series the way M. has in the past few months. Me: How did you become such and avid a Rick Riordan reader? M: First I watched all the Percy Jackson movies. 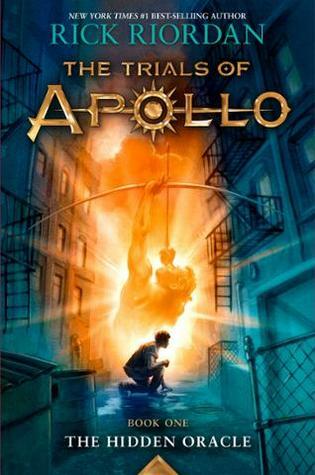 Then I saw T. reading The Lost Hero (in the Heroes of Olympus series by Rick Riordan) and she recommended it. Me: What are some topics and themes in these books that keep you coming back for more? M: I like the action, the cliffhangers, the things that surprise you. There's a little romance, but not too much. Me: So, Percy is Greek mythology, and the Kane series is Egyptian mythology, right? What's Demigods and Magicians about and who would you recommend it to? 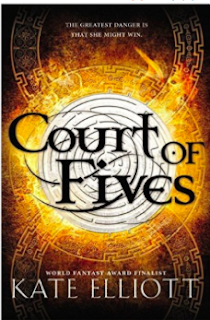 M: I'd recommend it to people who read all of the Rick Riordan series. It switches between the Kane stories and the Percy Jackson stories and connects them at the end. 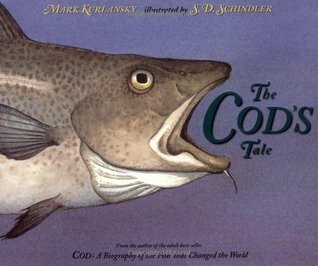 Me: Do you learn lots about mythology from reading these books? M: You learn a little mythology, but mostly they are good stories. There should be Kane movies. Me: What will you read next? 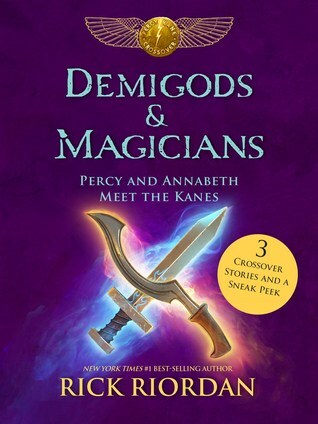 M: Next up is The Magnus Chase -- it connects to one of the books -- it's Greek mythology for sure, but there are new characters. Me: Tell me a little about your reading habits. How do you plow through these long books so steadily? M: I read for a long time whenever I read. On the weekends I read. I read before dinner, and I read after dinner. I watch a little TV with dinner, but I'd rather read than watch TV. Me: Have you always been a series reader? M: No, this is new. The closest has been when I read Rump, Jack, and Red. This amazing reader will eventually come to the end of the Rick Riordan series (maybe...he's incredibly prolific!!) and will need to find other books to fill the gap left in her reading life. She has great resources that will serve her well: her family uses the public library, and she has friends who are readers who will recommend books to her. What would I recommend? The Inkheart series by Cornelia Funke, or The Mysterious Benedict Society series by Trenton Lee Stewart. leading the National Council of Teachers of English! 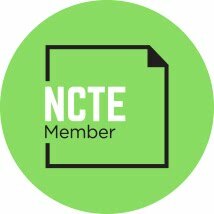 Another cheer for an advocate for children's literature leading NCTE! who has a seemingly boundless amount of energy. she's working with others to share her passion and vision. The call for roundup hosts July-December went up yesterday. You can find it here. If you'd like to host a roundup between June and December 2016, leave your choice(s) of date(s) in the comments. I'll update regularly to make it easier to see which dates have been claimed. 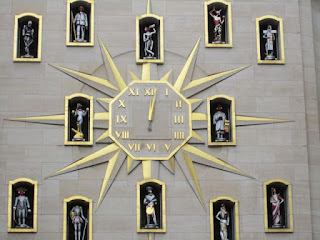 How do I get the code for the PF Roundup Schedule for the sidebar of my blog? I'll post it in the files on the Kidlitosphere Yahoo group, and I'd be happy to send it to you if you leave me your email address. You can always find the schedule on the Kidlitosphere Central webpage. I'm starting to fall in love with nonfiction. 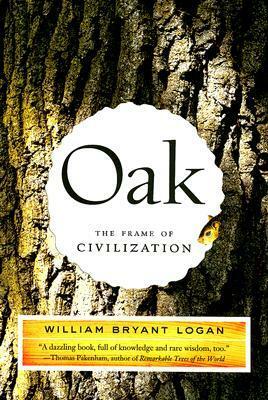 It started years back with a book that looked at history through the lens of the oak tree. 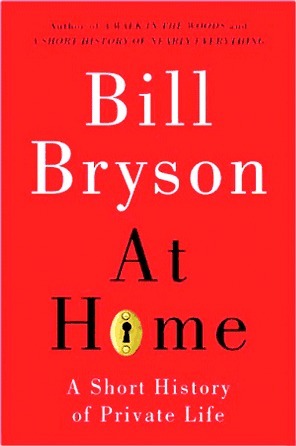 Then there were books by Bill Bryson, a favorite author. One looks at history through the lens of our homes, and another focuses on a single amazing year in history. Just recently, I finished listening to a history traced by what we've been drinking. 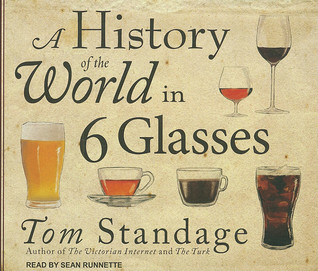 In my Audible wish list are now histories focused on salt and cod, seeds, potatoes, food, and innovations. Suddenly, I can't get enough of this way of thinking about history! 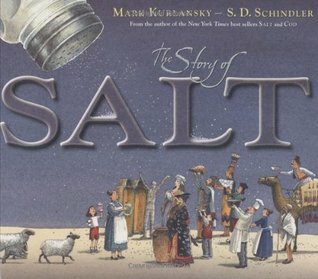 One of most prolific writers of this kind of history, Mark Kurlansky, has adapted two of his most popular books for adults into picture books. Next year, I intend to read more nonfiction aloud to my fifth graders. I'll start with these two!